Persephone and Hades In Redstone: Working Our Way to the Top! Hope everyone is having a fantastic time, both in game and in real life. It's been very hectic for Hades and myself, due to the fact that we are moving in a couple weeks! Yes, we are moving from beautiful Hawaii to the East Coast, and though I am a little sad, I am excited to go somewhere new. It's basically just been this for the last month. So, Hades and Persephone haven't really been focused on because we have been working on getting little Miss Hecate up to rebirth level so we can enter into the contest. Finally, a couple days ago, we did! I tried to get as low as possible because I actually wanted to play her and try her out this time. 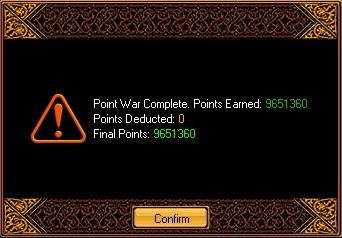 The first time around, it was just power leveling with Hades and Persephone, gunning down PT bosses and various spots. This time around, it's all me. I want to know her and figure out a play style I like. I've been mainly focusing on her for the last few days, since Persephone and Hades premium wore off and we don't really want to reapply it until we get settled in. She has gained some decent levels. Hades and Persephone just puttering along. To be honest, I may not put premium on Persephone even after we get settled in. She still has a way to go on the last quest of Hidden Power and no sphere means less levels and thus more time in the spots I want to hunt in for origins. I will also start Hecate on them once her badge wears off so that she too can hit 34k's eventually. 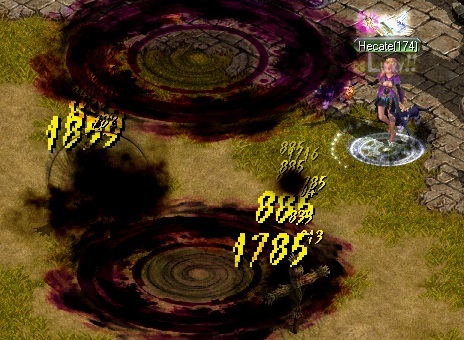 Speaking of damage, have some fun screen shots of damage at the dummies, with both Persephone and Hecate! 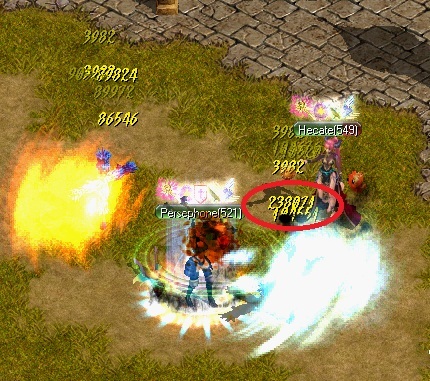 Who doesn't like doing 230k damage? Just for your information, this is no berserk. Look at baby Hecate's 40k's! No EG or aura either! 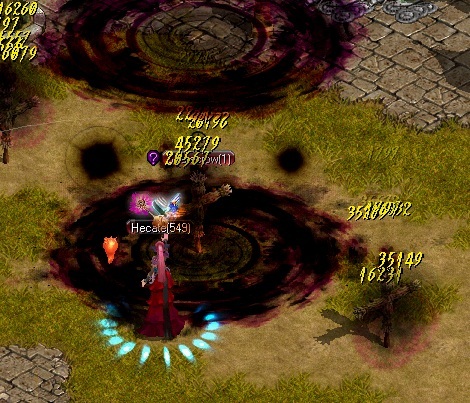 Now Hecate is low level, so she obviously doesn't hit as much but she still does decent damage with no EG or aura. In other news, our lovely guild is leveling quite nicely, even though Hades and I have been pretty inactive and thus we haven't been able to contribute as much. We also took GHall 3 today! We did it with this score. Fun fact, we did that with just Hades, Persephone and Hecate! We wanted to run it while we were still online so that the guild wouldn't have to worry and figured for fighting for GHall 3, we really didn't have to worry too much about score, as long as it was more than 6 million. Besides that, we are working on our emblem. I'm hoping we can come up with one that most of the guild likes and here are a few that have been put up. I really enjoy the gold wolf (which our amazing Eris created) but we are still deciding and getting pieces to make our emblem. Hopefully within the next couple weeks, we will get to finally unveil it! If you would like to join and give your input, we are still recruiting! Just PM Hecate, Persephone, Hades, Freyja, Secos, XOML, or Eris, or leave a message here and I promise I will get back to you! I am going to try to update this blog more often, probably once a week, so let me know if there is anything you are curious about! For now it's back to packing and getting ready for the move. Hope you all are having a wonderful night and good luck and happy hunting!